Be the first to share your favorite memory, photo or story of Dr. Melanie. This memorial page is dedicated for family, friends and future generations to celebrate the life of their loved one. 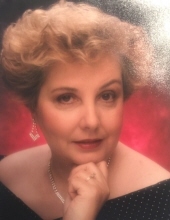 Dr. Melanie Joan Schulte, of Frisco, Texas passed away at the age of 72 on March 5, 2019 with her husband and daughter by her side. Melanie was born on February 14, 1947 to the late Luan C. Jewell and spent much of her early life in southeastern Iowa and western Illinois. She was married to William (Bill) Aloys Schulte, Jr. in 1980 and they lived together in Fort Madison, Iowa and then in the San Antonio and Canyon Lake areas of Texas for almost 30 years before relocating to Frisco. She received all three of her degrees from Our Lady of the Lake University in San Antonio while raising her daughter and working full-time as an executive at multiple Fortune 500 companies. Melanie is survived by her husband Bill; daughter Sommer Lee (James) Coutu, of Austin, Texas; grandchildren Amelie and Sam; sister Robin Stanaway of Newport News, Virginia; and cousins Darla Newberry and Sharon Sutton of Dallas City, Illinois. She was predeceased by her sister Jeanne Dammling in 2006. Melanie had a lifelong passion for teaching and started one of the first Montessori schools in her region of Iowa. She went on to teach countless collegiate and graduate classes. She was a beloved mother, wife, grandmother, sister, educator and friend. The family will receive friends from 5-7 PM on Tuesday, April 2, 2019 at Vigen Memorial Home, 1328 Concert Street in Keokuk. Memorial services will be held at 10 AM Wednesday, April 3, 2019 at Vigen Memorial Home. In lieu of flowers, the family prefers that donations be made to the Dr. Melanie Schulte Scholarship Fund. Donate by visiting https://app.mobilecause.com/vf/SCHULTE or by texting SCHULTE to 71777. "Email Address" would like to share the life celebration of Dr. Melanie Joan Schulte. Click on the "link" to go to share a favorite memory or leave a condolence message for the family.